When I was pregnant, I felt like everyone wanted to talk to me. Ask me about my due date, if I was having a boy or girl, and then – when they’d learn I was having twins I’d watch their eyes bug out and then wait for another flood of questions. Never in my life did I feel like such a target for people’s curiosity and friendliness. That has only increased tenfold with the twins. I joke with family and friends that I often feel like a celebrity when I go places with the twins. At least once per outing we get stopped by a passerby and have to field some questions or comments. For the most part I don’t mind. I generally enjoy talking to other people so it’s not a huge deal….but I can imagine that someday I could get fed up with it and take a little passive action like this (amazing) twin mom. So in recognition of all the curiosity about twins – mine and twins in general – I thought I’d share some answers to our most frequently asked questions! Here we go…. Are they twins? Boy and a girl? Are they identical? Yes. They are twins. Seriously I get this question at least 2-3 times every time I leave the house. Sometimes I’m tempted to answer “No, the hospital was having a ‘buy one, get one’ sale” or that I really had one, but just stole the other …. but then someone might arrest me. Also, yes they are boy/girl twins. And I admit I cringe every time someone asks me the follow up question about if they’re identical or not — because THINK about it people. Change their diapers once and you’ll realize, they are not identical. Are there twins in your family? Nope! There are no twins in my family – so I guess you could say, twins do not run in our family….but now they do! It was a complete (and wonderful!) surprise to find out we were having twins. Family history on the female side can affect your chances of having fraternal twins. It has nothing to do with the male’s family — it all comes down to the female. And yes, since we had twins once it is possible (some say likely) for us to have twins again. I am not an expert on the topic (shockingly), but I, and other moms of fraternal twins, are genetically programmed to produce more follicle stimulating hormone (FSH) which causes more than one egg to drop per cycle. Combine that with the rest of the birds and bees speech….and more than one egg, means more than one baby! There is also a theory out there that tall women (women over 5 feet 5 inches — ME! I’m 5’7″) are more likely to have twins.Researchers hypothesize it’s because taller women have higher levels of insulin-like growth factor (IGF) which boosts ovulation by upping the sensitivity of the ovaries to FSH. You can read more about all this here. I did mention this theory to my doctor once though and she had trouble keeping a straight face. So there’s that. We got the wonderful (okay it was shocking for like 10 minutes, then felt wonderful) news at our 8 week ultrasound. This was our first doctors appointment. They do! Just like any other siblings out there – L and H are very different. Both are sweet and silly – they love to smile – but H is very adventurous, he loves to roll and crawl around, while L is a bit more stationary. That is today though, things could change tenfold in a day, week, month, year! I am so excited to see how they grow up and are similar – but I’m even more excited to see how they are different. Honestly, I do the same thing every mom or parent does. I get up everyday and be a mom. L and H are my first kiddos. Having two is my normal. I don’t know any differently! The hospital sent me home with two babies (remember, I didn’t steal one!) and since then I’ve been learning as we go. Sure I’ve had moments when one is napping and I find myself just hanging with the other where I think “wow! having one baby would be pretty simple in comparison to two!” But in all honesty, I do it without thinking about it — I have two babies to take care of, so that’s what I do. I’ll say it again just like I do to everyone who comments “I don’t know how you do it!” to me….having twins is my normal. I just do what I have to do! How do you feed them at the same time? I’ll answer this question like my husband would (and does) to anyone who asks. Before we had the twins, I insisted we buy two chairs for the nursery because I envisioned both of us getting up and feeding the twins. One parent per baby/bottle. Chris thought it was ridiculous to buy two chairs but he did what every wise husband does when their wife is pregnant and hormonal…he bought both chairs. About 2 days into our stint as parents we realized that we needed to come up with a way to feed both babies at the same time….and stat. Thus our boppy set up was born. We typically feed the babies their bottles while sitting on the couch or the floor, with a boppy on each side – and a baby in each boppy. That way you can hold the bottles for each babe at the same time and everyone is happy. This is also usually when strangers like to ask me if I nursed the twins at the same time as if it’s not strange to ask that question. But since we’re friends here, I’ll share….I did nurse the twins for a short time, never both at the same time. After we got home and life got real (did you know when you have a baby they don’t send one of those nice hospital nurses home with you!? Rude. ), I began exclusively pumping. The twins have happily bottle fed (both breast milk and formula) their whole lives. Now they also eat solids in their high chairs. This is a simpler set up….we have two high chairs and we feed them the same food, usually with one spoon alternating twin to twin. It’s really fun because they like to sing and laugh and smile in their high chairs and my favorite moments are when they look at each other and laugh during mealtimes. I assume they’re making fun of me or giving my homemade baby foods a bad review. Do they sleep at the same time? Pretty much the most aggressive advice we got all the twin books (all 2 of them) we read and other twin parents we spoke with prior to the twins’ birth encouraged us (again, aggressively) to get the twins on the same schedule. Actually usually it was more like “whatever you do…get.them.on.the.same.schedule.” So that’s what we did. It’s not perfect – H doesn’t nap as much or as long as L does, but generally they nap at the same time. And they do have the same bedtime. When they were tiny, if one woke at night to feed we would wake the other just to keep them on the same schedule (again, see above about the aggressive urging). But now that they’re a little older if one wakes up we usually try to get them back down without disturbing the other. What do you do if they cry at the same time? We do have rough moments when both babes cry at the same time – those are the hardest moments, especially if I’m home alone because I’m outnumbered! My biggest fear is being in public and having them both have a meltdown. It hasn’t happened yet….I try to keep outings on my own well timed and on the shorter side. I know it will someday though and I’ll just have to deal I suppose! But if they do cry at the same time, I try to get on the floor or on the couch – where I can hold them both. It generally means they need something like a bottle or a nap, so I try to solve it with those things. Otherwise we just all snuggle up….and I silently cry as well…and we get through it! How do you change two diapers at the same time? Seriously, someone asked me this once. And it was really hard to get her to understand that I don’t change two diapers at the same time. They take turns. One after the other. Patience is a twin virtue. Who’s older / who was born first? H was born first! He was Baby A – which means he was closest to my cervix the entire pregnancy and then not shockingly due to his position he came out first! He was born 2 minutes before my sweet L, aka Baby B. Are you going to have more kids? What if you have twins again? Well, we always wanted more than one. We have two! So we’ll have to see what comes next. For now, we’re just focusing on enjoying L and H, and surviving this first year! So there you have it! Answers to our FAQ Twin Questions! Anything I missed? 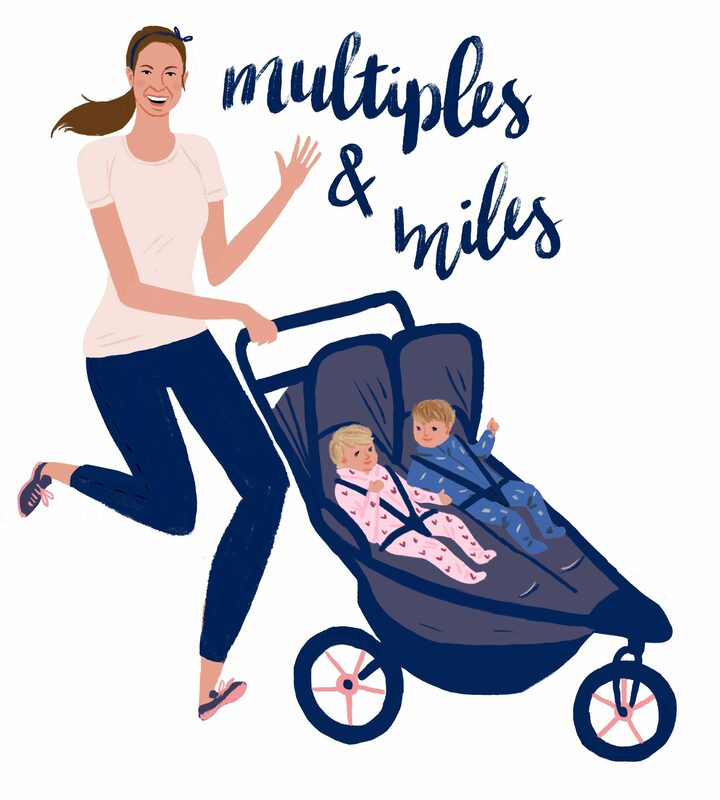 Any burning curiosities about the lives of living with multiples?? Ask away! Next Recipe: Let’s Get Sauced.